Today started bright and early at 8 AM. As we ate breakfast with still-sleepy eyes, our worksite leader informed us we would be working at John and Janet Tillman’s house in the Binghampton neighborhood. After eating, we gathered our supplies and departed for the worksite, a short 5-minute drive away from SOS’s home base. Unfortunately, one team member has fallen to the stomach flu (#RIPJimmy) and was forced to stay in bed all day. Pray for quick healing! When we arrived at our house, we met the homeowners and went through a quick roofing training session before stepping onto the roof. At first the old shingles were very slick and most of us were nervous of falling off. We were all safely harnessed in though, and quickly entered a rhythm of de-shingling one section of the roof. As the day progressed, we rotated on and off the house, pulling off loose shingles and cutting new boards. 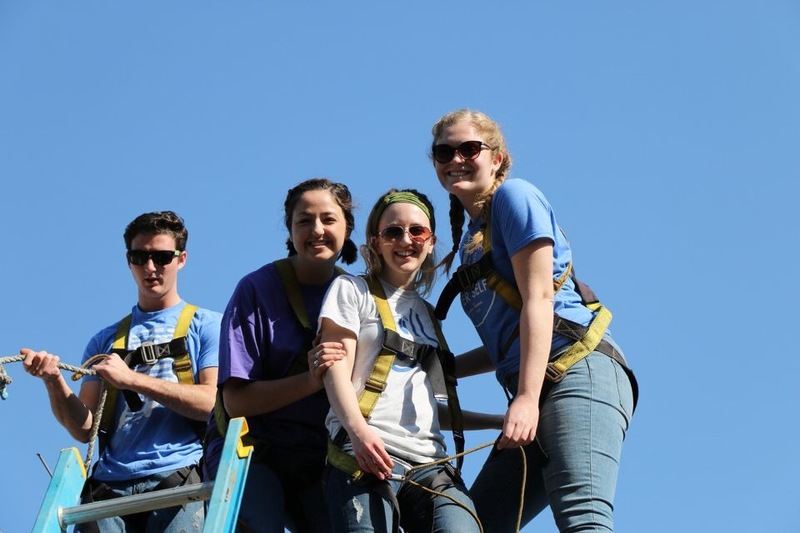 We even had a couple team members face their fear and step on a roof for the first time! The sun was beating down on us in about 80 degree weather. Even though it was hot it was a nice break from the cold in Indiana. We finished at about 4:30 and returned to the SOS center with dirty faces and tired bodies. Later tonight we visited SOS-partnering homeowners who have the financial capability to live elsewhere but choose to live in these poor communities we are working in. We were able to hear why they do what they do and learn about a small portion of their life story. This was super cool to gain a glimpse of the different perspective that these homeowners had to offer. Overall, today was a great start to our week. 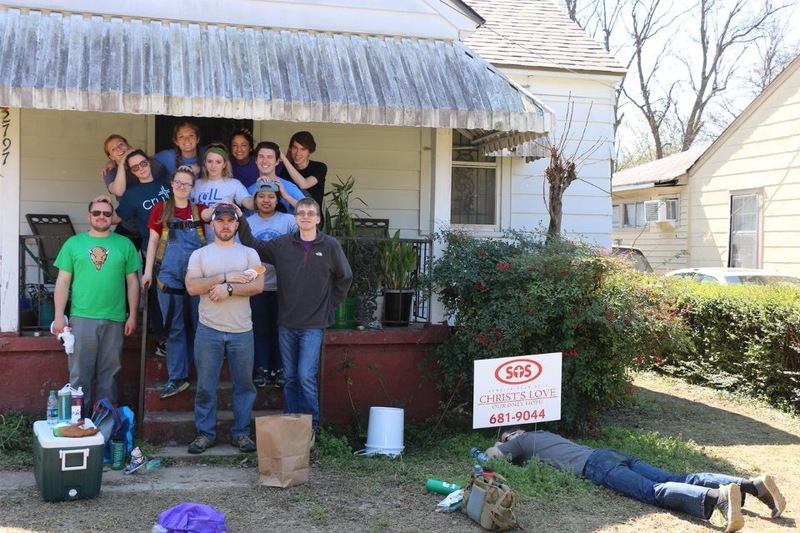 We were pushed physically in hot weather, and experienced a new aspect of life that occurs here in Memphis. I am loving our trip so far. Everyone in our team is so encouraging of one another, and we are constantly filling the room with outbursts of laughter. Please pray we would be able to process all we are experiencing, and that we would continue to be able to show God’s love and grace to those we encounter as we work. Now I’m back to play our game of the week, Murder in the Dark! It sounds bad, but it really is a lot of fun! Jeanine, I am praying for your safety and good experience this week.